The initiatives include the hiring of a Safe Streets Coordinator, along with enhanced traffic enforcement and a public safety campaign. 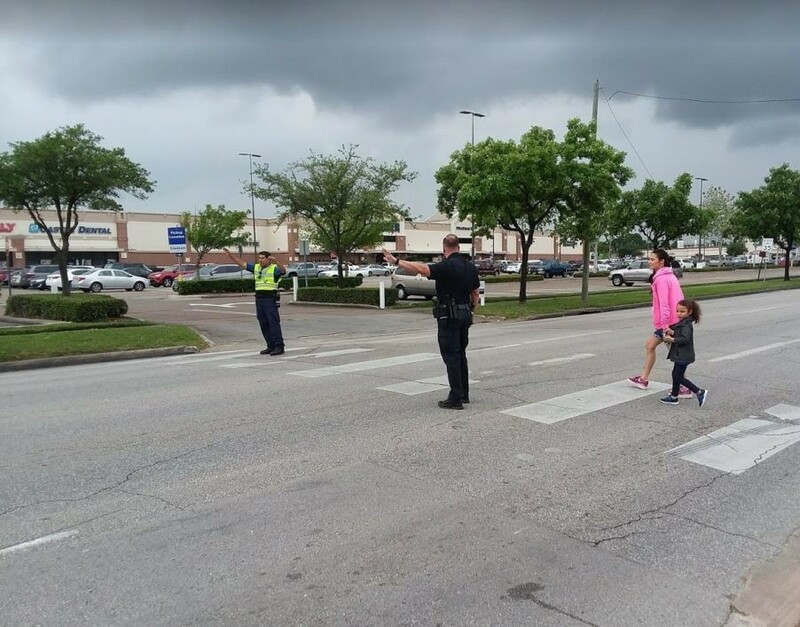 Officers stop traffic to allow pedestrians to cross at Shepherd and 10th. 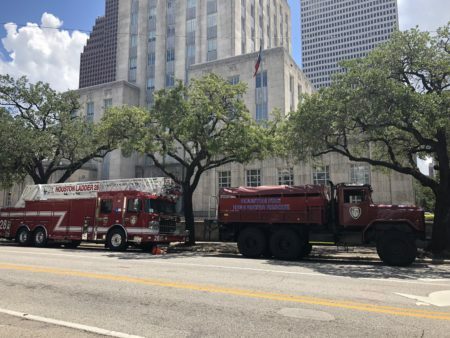 Mayor Turner announced Thursday a series of pedestrian safety initiatives. He made the announcement at Shepherd and 10th Street where a man and woman were killed in a crash two weeks ago. Fifty-five-year-old Lesha Adams had stopped to assist 64-year-old Jesus Perez as he tried to cross Shepherd in his wheelchair. They were both struck by a car, and 20-year-old Jada Mimms is now facing charges in the crash. 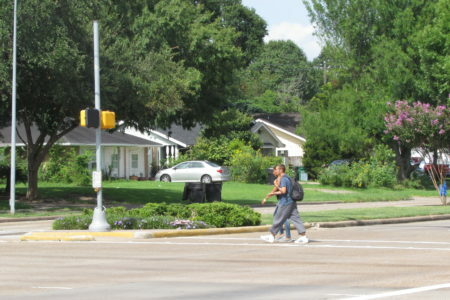 Along with planned improvements to help pedestrians get across Shepherd’s three lanes of traffic, Turner said they’re also making it easier to report crosswalk and sidewalk issues by calling 3-1-1. Turner also wants a public safety campaign and he’s calling on HPD for greater enforcement of existing traffic laws. Houston Police Chief Art Acevedo said he shares the mayor’s sense of urgency, adding that too many people are dying on Houston’s streets. The city also plans to collect more data concerning crash victims who use wheelchairs and walkers. 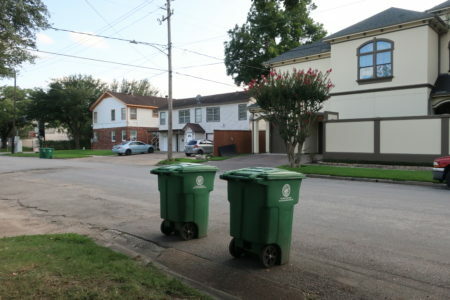 Maria Town with the Mayor’s Office for People with Disabilities said without better infrastructure, the mobility of many Houstonians is severely limited. 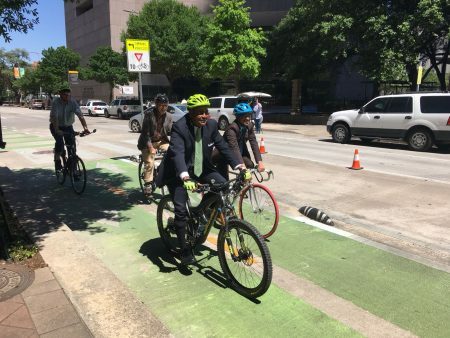 To manage the city’s pedestrian and bike safety initiatives, Turner said the city will hire a Safe Streets Coordinator as part of the Public Works Department. He also wants to set up a pedestrian accessibility and safety task force to make long-tern recommendations.